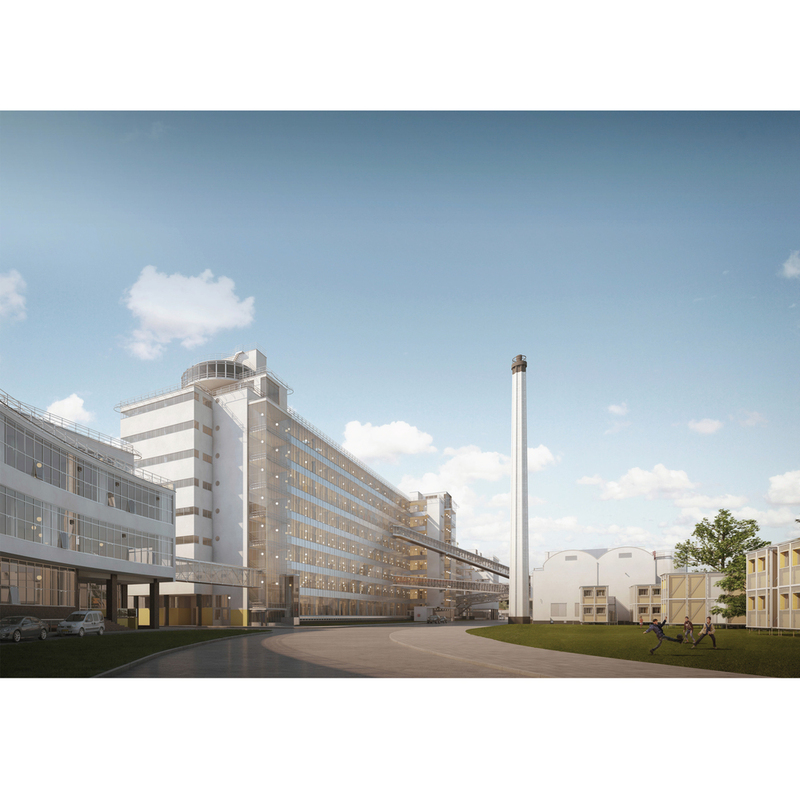 SteiigerHuis aims to be a self-sufficient house: generating electricity from the solar panels on its roof, collecting rainwater, and providing opportunity for urban agriculture. Prefabricated bathroom units are equipped with water saving toilets and showers, minimising the usage of water and electricity. Self-sufficiency ensures that the environmental footprint of the house is extremely minimal: it does not produce a lot ofwaste or consume excessive energyThe house consciously makes use of recyclable building materials. It is commonly known that steel is a material that can be re-used, however, scaffolding has an even longer lifecycle. Through our research, we have found that scaffolding systems still retain a value of about 35% of the original purchase price after a use of around 30 years. 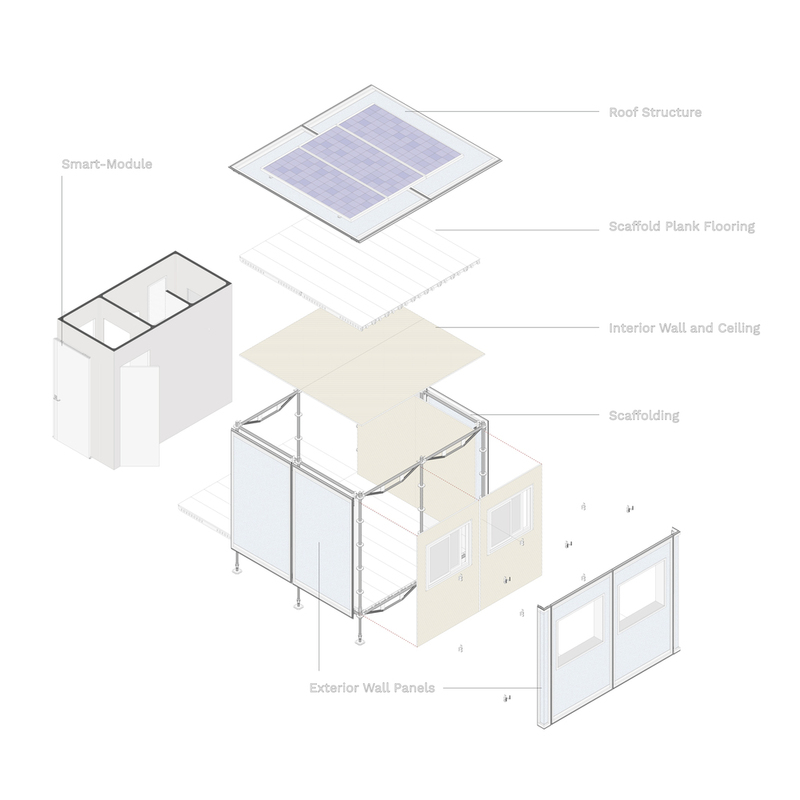 The external facade panels are constructed of polycarbonate panels. Polycarbonate is a thermoplastic polymer that can be directly reused. It is ranked as a Fire Class B1 safety material. On the interior, wood and cardboard are both renewable raw materials that form a buffer for CO2 storage.In particular the use of cardboard as an interior finish provides a breathable and moisture egulating inner surface. It’s easy to modify and fabricate, while it is also replaceable and biodegradable. A ‘Tartan Grid’ is used as an urban tool that caters for the varying needs and demands of incoming refugees. Within an 11.5 metre grid, refugees are able to freely decide upon the placement of their own dwelling. 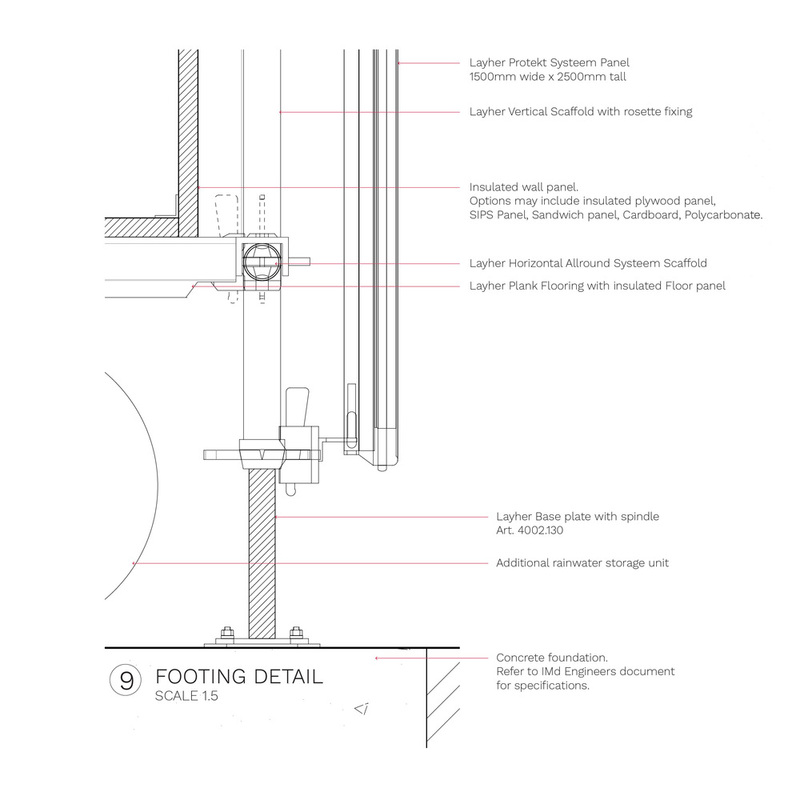 An offset of 2 metres ensures that the streetscape is always protected. 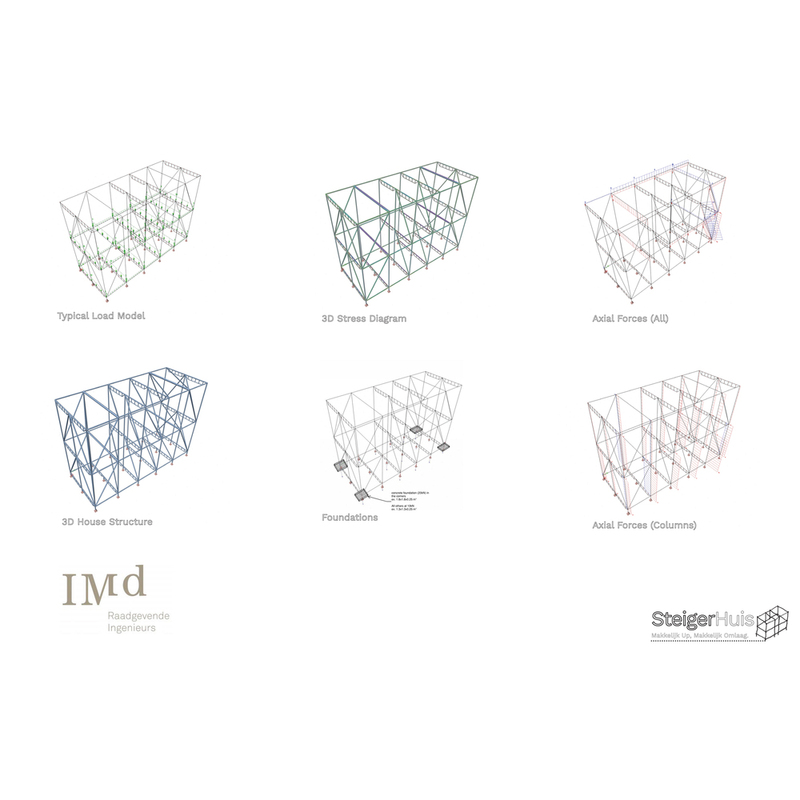 The modular sizes of SteigerHuis are purposefully designed in order to enable inhabitants to self-construct their houses. Under the supervision of a few skilled builders, refugees are able to assemble their first homes within the Netherlands. The building process of the settlement also presents many opportunities for interaction between incoming refugees and Dutch citizens. Alongside skilled construction workers, Dutch volunteers can also offer assistance in the construction of the village. Working together towards the completion of a common goal is an effective way of socially intertwining refugees and Dutch citizens. SteigerHuis units are able to placed within a variety of locations and contexts. They can be used to extend the capacity of existing COA facilities. They can be placed within open agricultural land, but also upon vacant urban blocks. Urban and semi-urban locations, where direct contact between newcomers and established immigrants and locals, provide many opportunities for social integration. 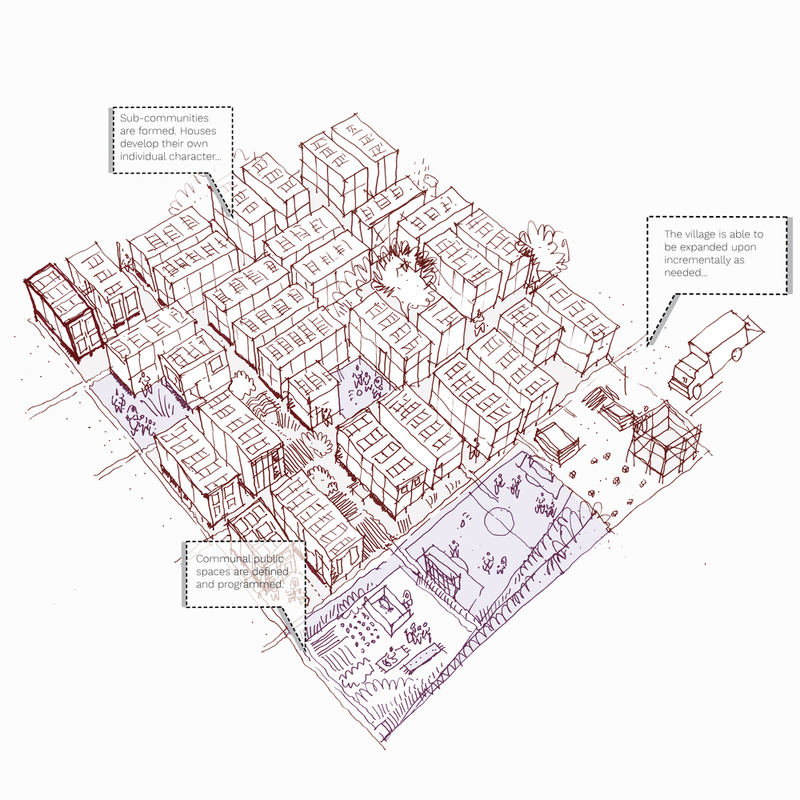 The flexibility of the ‘Tartan Grid’ allows for each urban layout to be specific to its site and surroundings. The houses can also be inserted within existing buildings: used as an interior arrangement. Although scaffolding is typically viewed of as an industrial system, it has huge potential to be used for temporary and modular housing. It is a system which is able to be assembled extremely quickly, be disassembled, be self-built and be incrementally added upon. 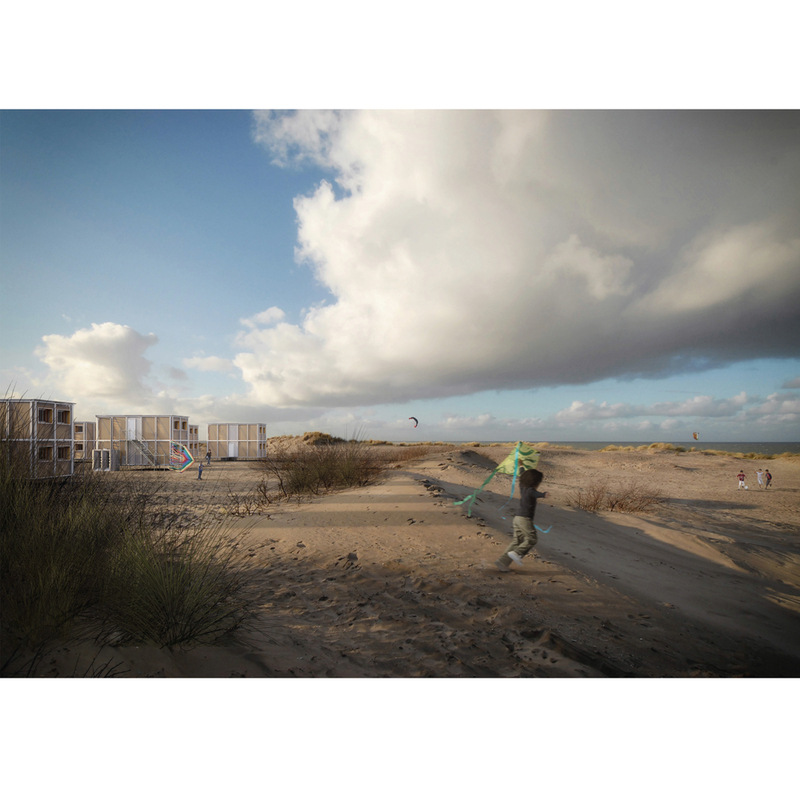 Made up of simple pre-fabricated building elements, the SteigerHuis provides an architecturally innovative and unique alternative to current typologies of refugee housing. Due to its simple construction technique, refugees are able to easily construct their own homes- allowing them to personalize it to their own needs and desires. The house has huge potential in providing socially inclusive urban environments for incoming refugees to the Netherlands.